In this amazing video, Body Spartan Founder, Gabe Tuft, tells us how to use one simple technique to change the course of your entire day and even, your life. Once you’ve started your shift into a more positive lifestyle, try shifting your physique goals as well. 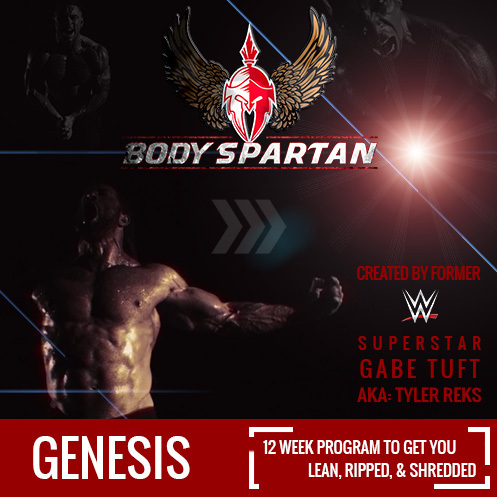 The Genesis Program, from Gabe Tuft, is an amazing 12-week body transformation program. If you can shift your mindset and be more confident and positive, you can definitely do this program and successfully complete it! With the Genesis program, must I belong to a gym? Is there any way I could train at home? Do you suggest substitute exercises if for example I don’t have a dual pulley machine, or a smith machine or equipment such as those machines? I’m really intrigued by your programs, can you help? It really needs a gym membership to be done properly. There’s a lot of exercises that are difficult to substitute. We are working on an in-home program now though!